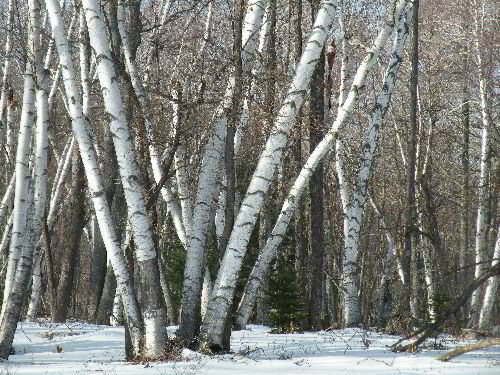 White Paper Birch – This medium-to-large tree has a stunning white bark that blends with the snow. 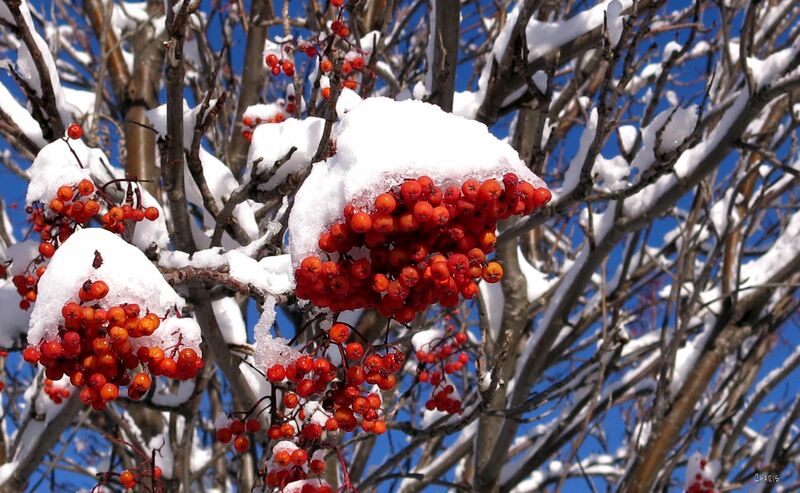 Showy Mountain Ash – A small-to-medium sized tree that retains its bright red clusters of berries in the winter. This provides more contrast against our snowy landscape. Red Osier Dogwood – The most eye-catching feature of this shrub is its red-colored stems that remain once the leaves have fallen. Yellow Twig Dogwood – Similar to its red family member, this shrub has a yellow-stemmed body that provides a beautiful contrast to our winter landscape. 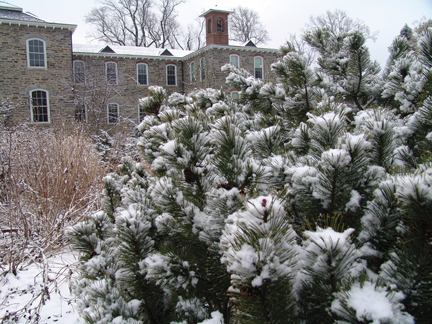 Scots Pine – This large tree provides various colors during the winter such as green foliage and an orange bark. 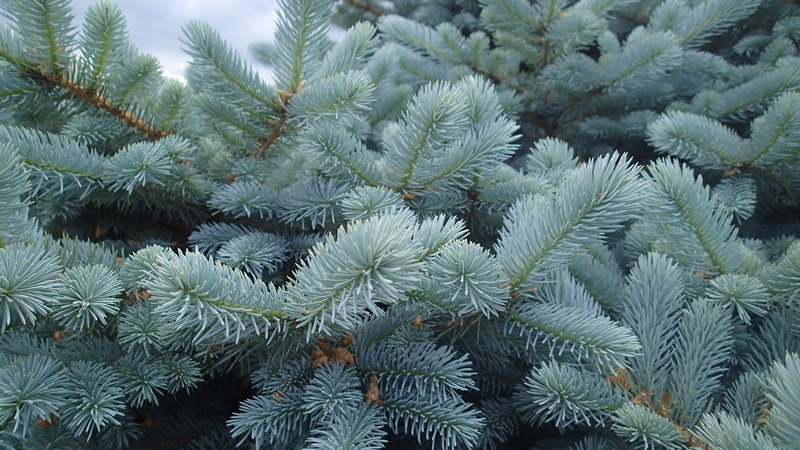 Colorado Spruce – This large tree has a hint of blue to its foliage which looks great around light colors! Juniper – These low-lying plants stay green all year. There are also different varieties of Junipers to choose from at your local nursery. Mugo Pine – This shrub has a very round, bushy form that retains its foliage all year. Excellent for providing contrast to any landscape. 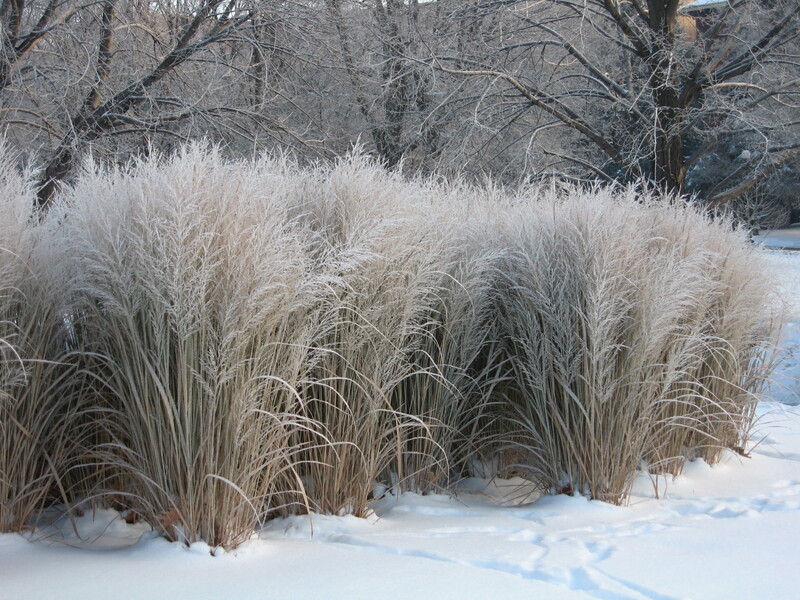 Feather Reed Grass Karl Foerster– This tall grass perennial provides vertical appeal to any landscape, displaying tan-colored stalks throughout the winter and creating a genuine prairie atmosphere. 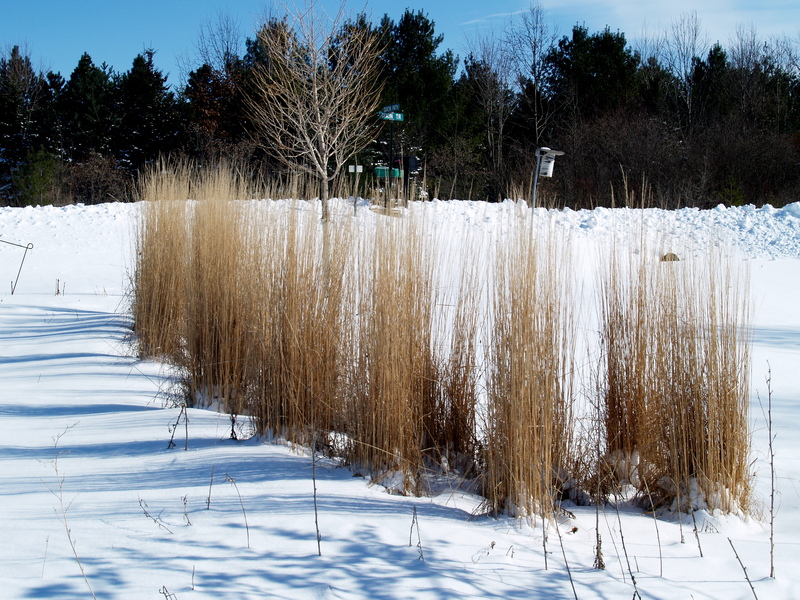 Miscanthus Flame Grass – Similar to the Karl Foerster, this tall grass perennial provides vertical, prairie appeal to a snowy landscape.